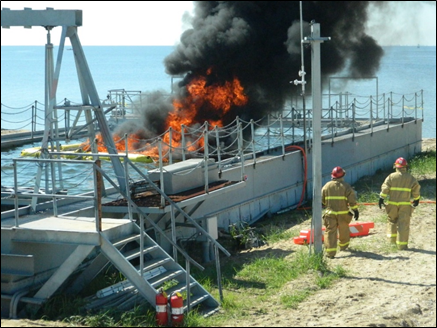 The U.S. Coast Guard Research and Development Center (RDC) conducted a successful test burn of oil using the purpose-built burn pan on Little Sand Island in Mobile Bay, Ala. during the week of September 17, 2018. 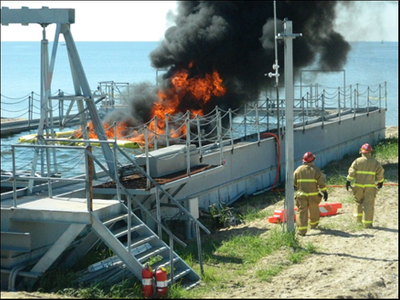 Controlled, pre-planned burns conducted using the Joint Maritime Test Facility allow researchers to gather critical data to help oil spill responders determine best practices for operational use of in-situ burning, develop new equipment with procedures, and to refine training of response personnel. The use of in-situ burning of oil was successful as a response option during Deepwater Horizon and helped to reduce environmental impacts on the marine environment. This strategy can be an effective solution when responding to oil spills in the open ocean and marshes.